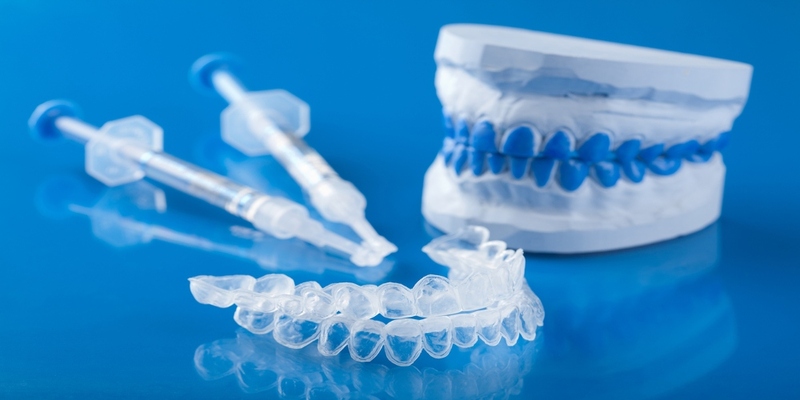 If you have ever thought about teeth whitening, you need to read this page. Do you want a beautiful white smile? Let’s face it, who doesn’t want a beaming white smile; it screams health, vibrancy, happiness and is one of, if not the most attractive features someone can have. Add the fact that it is one of the simplest and easiest cosmetic dentistry procedures and it’s no wonder it’s so popular. It is the first thing I recommend to anyone wanting or considering any level of cosmetic enhancement. Well, for the most part the maximum white is equivalent to the whites of your eyes and natural teeth don’t tend to go blindingly white- if teeth look fake then they probably are… or if it’s online… then chances are the smile has been enhanced or has a filter. Why should I choose Dr Jamie to whiten my teeth? Dr Jamie has a specialist interest in this area of dentistry and has helped many people achieve a really nice white smile using both home whitening and power bleaching. He will explain each of the options, including the costs, and answer all the questions you may have before prescribing a tailored program just for you. You want a dentist who is going to be there for you every step of the way and who is able to navigate the quirky things that come up from time to time. Rest assured from the moment you meet Dr Jamie, you will feel instantly at ease and confident that you have chosen a great professional to look after you. How does teeth- whitening work? The science is this… hydrogen peroxide releases oxygen that penetrates into your enamel and dentine. Here it reacts with the discoloured molecules (stains) in your teeth, breaking the bonds that hold them together and causing a whitening effect. As the oxygen molecules spread, they whiten the entire tooth, leaving you with a brighter, whiter smile. Products that don’t contain a peroxide, either hydrogen peroxide or carbamide peroxide don’t whiten the body of the tooth, they merely remove surface stain and discolouration. 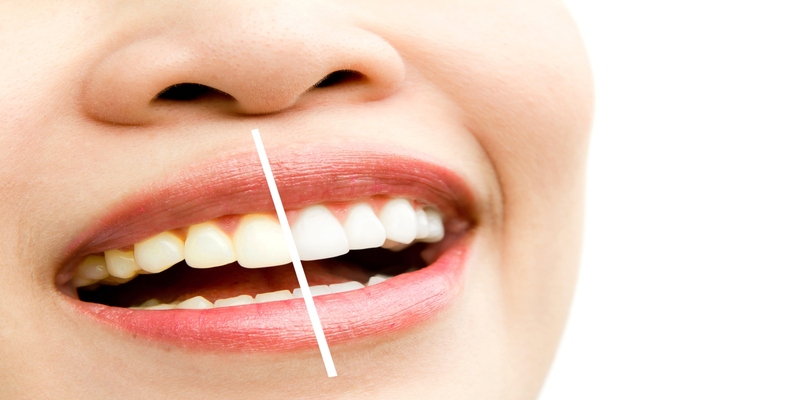 What determines how white the teeth appear? Have you ever noticed that when you get a tan, your teeth appear whiter? Darker skin, redder lips, and beards- anything that enhances the contrast gives the perception of whiter teeth both in photos and real life. This is the reason why nearly all tooth-whitening models are wearing a bright red lipstick! If you want to see just how much of an effect this really has – have a go at this – get something dark and hold it behind your front teeth- preferably black. Now get something white such as a piece of paper- check the colour of your teeth…not so white after all right? Lighting also plays a huge part: try taking a selfie facing a window and then spin round and take another facing away from the window- the difference is crazy. Are there any downsides to teeth whitening? Very few actually…the main problem is sensitivity, which, with the home kits can be fairly easily managed using desensitizing gels, sensitive toothpastes or adjusting the wear times or percentages of the gel. Power bleaching on the other hand can be super sensitive for 24 hours afterwards, not always but it can be and if it ‘is’, you are most likely going to be popping a few painkillers. I have developed a pre- treatment regime that helps reduce the occurrence and severity of this problem: I automatically carry out this procedure now, for anyone having in office whitening. It’s important to note, that not everyone gets the same result: some teeth are really stubborn and can take prolonged bleaching to move the colour even a little. This is why you need to choose a dentist who is experienced in the various teeth whitening procedures: there is not a one size fits all approach; it’s about tailoring the percentages and products to the individual. Grey teeth and those stained by the antibiotic tetracycline take much longer to whiten, when compared with teeth that are simply yellower in colour. Problems teeth whitening can solve and problems it can’t? The other downside of whitening is that it cannot whiten porcelain or white filling material, so, if you have fillings in your front teeth or a crown, implant or veneer, then the natural teeth will whiten but those restorations will not! As such, if they become more prominent, you need to be aware that they may need to be replaced in order to blend in properly. If you carry out professional home whitening, you have the luxury of a more gradual colour change and the option to stop the whitening process, before the difference becomes too obvious. What are the types/ options for teeth bleaching? And what are the procedures? 1. Professional dentist home whitening: this involves taking a mould of your teeth, having an accurate and close fitting tray made by a skilled dental technician and then having Dr Jamie prescribe a series of peroxide syringes which you place in your tray and wear for as little as 20 minutes, or up to an hour, or even overnight in some stubborn circumstances. The percentage of time will vary on a number of factors. 2. Power bleaching- this is an in-office 1 hour treatment, where we use the highest possible percentage of hydrogen peroxide (35%) to whiten your teeth in 3 or 4 intervals. Because of the strength of the bleach used, it is necessary to isolate the gums, so a protective barrier is placed in order that the gel only ever touches your teeth. This treatment will also include the dentist home whitening above, allowing you to top up further as and when required. Dr Jamie loves his photographs and will take shades and smiling pics before and after to document the changes so you can see how far you have come. “In a nutshell, if you dropped certain foods on a white T shirt, they would be a pain to get out…well those are the foods that are going to stain your teeth: things such as berries, curry, tea, coffee, red wine etc. Recovery wise, as mentioned, there is often a temporary sensitivity after power bleaching for about 24 hours, otherwise it is business as usual. Whitening is a fantastic solution, but it’s not always the way to go. Every situation is different: other options for whitening the teeth include placing cosmetic bondings, composite veneers, porcelain veneers or dental crowns. These may be done in combination with whitening or alone. It is worth noting here that if you do need, for example a filling or crown, that this should be completed only after you have whitened your teeth, so the shade can be correctly matched. You don’t want to just ‘hope’ that you get the colour right! Dr Jamie will always initiate minimally invasive treatment options, before moving to those that involve irreversibly bonding, or cutting teeth. Teeth whitening products on Social Media… Are they any good? Wow! This is where Dr Jamie- if given permission-would go on a rant! If you look at the lighting in the photos, it will give you an indication as to whether teeth have actually whitened or not… if the skin looks significantly lighter then chances are not a lot has changed- except of course the lighting. Just be careful with online products, since some of them contain acids instead of bleach; acids which can affect and erode the enamel over time: bear in mind too, that the closer fitting the tray, the better the result and the safer the whitening… it will hold the gel where it is supposed to be… on the teeth and not on the gums!